One especially unique thing (for the LE* community) is free wildcare SSLs and DDOS protection on request once you’ve signed up. VMBox was founded 4+ years years ago with a focus on budget OpenVZ VPS. We’ve grown quickly over the years and currently host over 3000 VPS over 3 locations and employ 3 UK based support staff. We pride ourselves on customer satisfaction while being affordable and reliable. Over the years we’ve established ourselves in the LE market and see ourselves serving LE customers for years to come. Up to 2 free wildcard SSL available per VPS order in Phoenix or Amsterdam. SSL only to be used on Singlehop network. Plenty more information available after the break! As always, let us know what you think of their service in the comment section below! Thanks for posting our offer! Any questions don’t hesitate to ask. As expected, only 1 IPv4 is included, not two! The second IPv4 is an additional $2/year. You get the extra IP when you open a Support Ticket. This is correct, thank you. They provide pretty good services. The server I have (for almost two years now) is reliable the support answers are rather fast. In just one point I’m disappointed: IPv6. 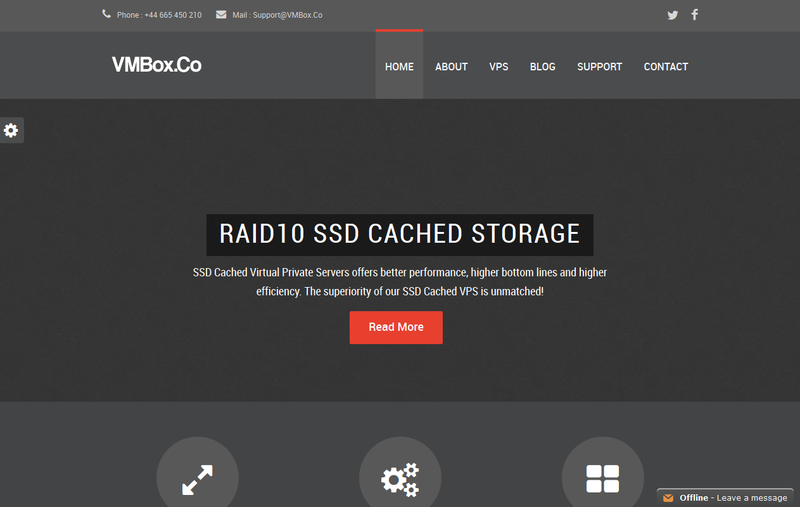 I want to remember to last years offer (https://lowendbox.com/blog/vmbox-co-ssd-cached-vps-offer-nlus/) “IPv6 coming soon in Phoenix and NL”). In March I opened a support ticket asking for progress and ETA. The answer was more or less “It’s beta and not useful” a few months later I asked again. The answer was, that no progress has been made. Now, half a year later, they announce another offer. (Which is still great, no doubt) and they sey, again, IPv6 would be coming soon. The standard has been there for over 20 years now. Nowadays many users have the ability to use IPv6 but there is no progress. We have our own IPv6 subnets but singlehop are being useless with it and can’t/have no interest to get it working. The Amsterdam Location is 4$ for me. Actually a pretty good offer when you keep in mind that you get 4vCores. very bad performance, frequently down without notify, without reason. Do you have any uptime stats to back this up? We monitor all nodes and reach 99.9% regularly each month. Their servers seems to be offline! my VPS are now offline from past few hours. So vps.vmbox.co appears to be down, as well as a selection of the vps hosted in the amsterdam data center. no outage notifications are up, no response to tickets, the blog and twitter account haven’t been touched in years. i’m coming up for renewal from last year’s offer. I don’t think i will be renewing. We apologise for the short downtime. I assure you this isn’t a regular occourance. SingleHop messed up our vlan when adding new nodes to the mix in NL. I woke up to down alerts at 2:17am GMT and immediately logged a ticket which had to be escalated to director of net ops for him to fix. On a side note we will soon have our first KVM node operating out of Netherlands. So look out for that. I will wait for KVM. OpenVZ doesnt do the job for me (I need to run mongodb). Still ,pretty good offer. Is it wildcard or wildcare certificate. Yes, we have KVM in LA and NL at present. Hi, do you offer Windows? even windows templates is ok for me. You can provide a custom ISO and we will mount it for you. When is the IVP6 available in the netherlands as i really am interested. Also are the 2 IP’s connected to 1 virtual nic or to separate virtual nics on the VPS? We’ve provided Singlehop with our IPv6 subnets and they have announced them but seem to be having issues with UDP connections. They’re trying to fix this for us, we’ll update customers when get some progress on this. You are charging $25 for support ticket. That’s just plain stupid to charge for a ticket. The charge is to make you guys read the tos before asking nonsence. Their service has been excellent and have been with them for 3 yrs. They even let me off multiple times with warnings when i kinda caused problems for them.